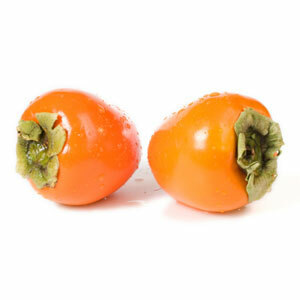 Fuyu Persimmons: Unlike the Hachiya variety, are eaten much like apples. Slice them and eat them is the recommended method! Also really good in any salad, thinly sliced. 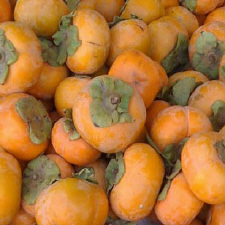 Hachiya Persimmons: Hachiya persimmons are rounded, slightly elongated and acorn-shaped, coming to a blunted point at their non-stem end. When fully ripe the skin is deep orange – almost red and you can feel the smoshy softness underneath the skin.